The Tank Museum at Saumur (Musée des Blindés) in located in the western part of central France - just a few hours drive from Paris. 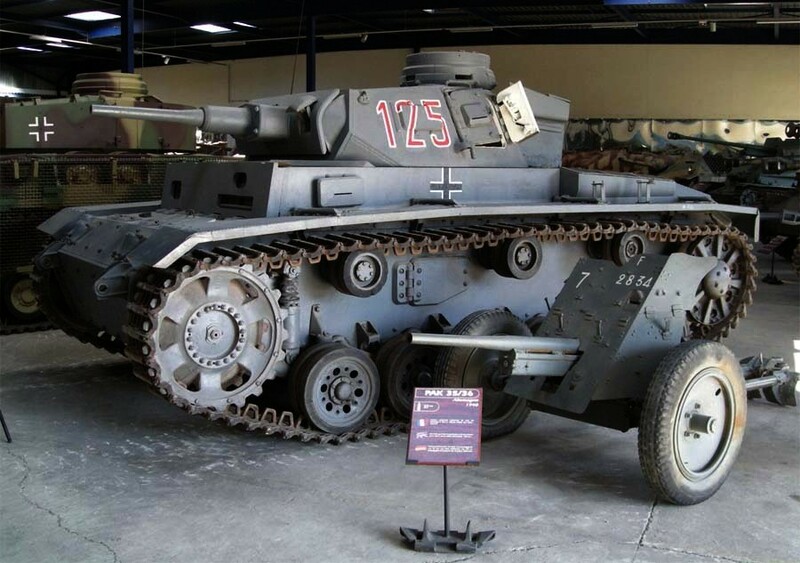 At this museum you will find an impressive collection of tanks and other armoured vehicles from most of the world - and from World War I until today. The museum is among the very best of its kind in Europe. 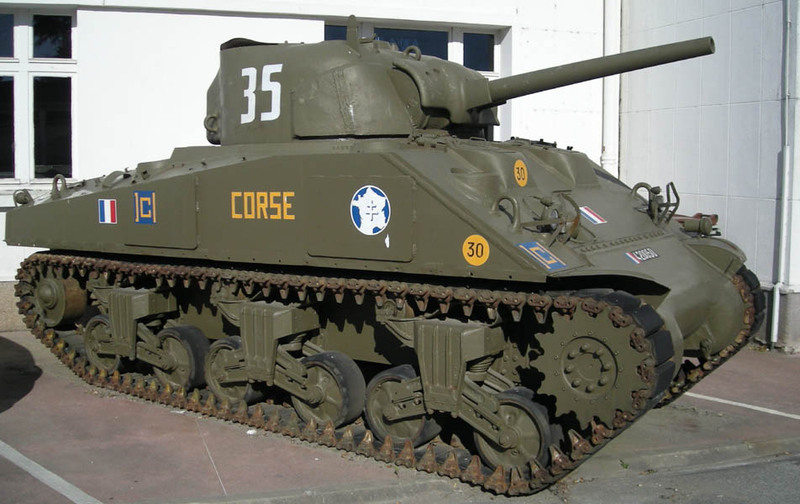 An American World War II Sherman tank at the Saumur Tank Museum (Musée des Blindés). 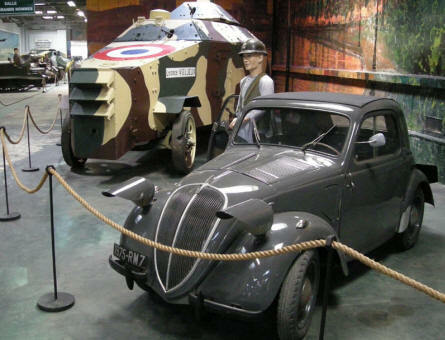 A home-made French World War II tank and 1935 Fiat at the Saumur Tank Museum (Musée des Blindés). 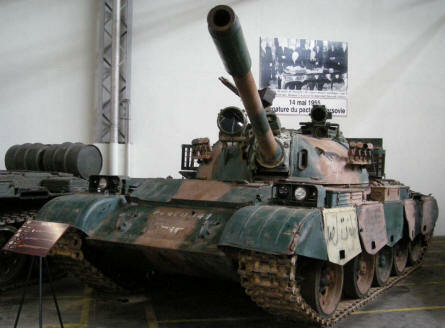 A Russian "Cold War" T-55 tank at Saumur Tank Museum (Musée des Blindés). 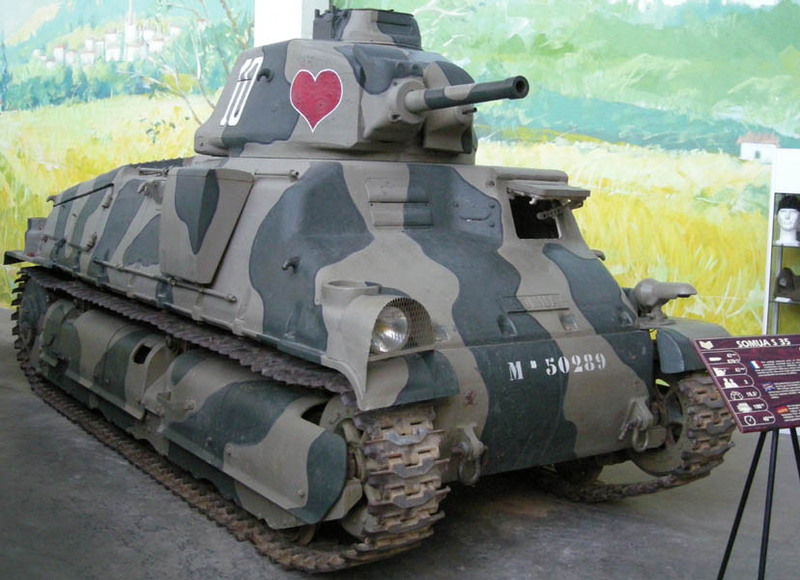 A French 1930's Somua S 35 tanks at Saumur Tank Museum (Musée des Blindés). 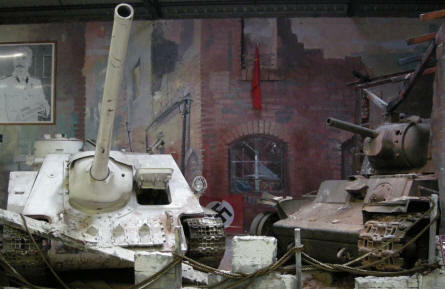 A German World War II Sd.Kfz.141 Panzer III tank and a PAK-35/36 anti-tank gun displayed at Saumur Tank Museum (Musée des Blindés). Two of the Russian World War II tanks at Saumur Tank Museum (Musée des Blindés).